Based in Los Angeles by way of Atlanta, Dave Stone made his television debut on “The Late Late Show with Craig Ferguson” in 2013 and in the same year was selected to the prestigious “New Faces” roster of the Just For Laughs Festival in Montreal. Since then, he has been seen on season 8 of NBC’s “Last Comic Standing”, Viceland’s “Flophouse”, and Travel Channel’s “Cheat Day Chow Down”. 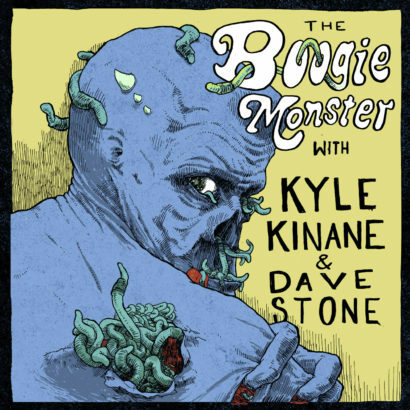 He also can be heard voicing several characters on Adult Swim’s “Squidbillies”, co-hosting his new paranormal podcast “The Boogie Monster” with Kyle Kinane, and hosting his weekly alt-country radio show “The Gravy Boat”.